Many Americans know the joys and challenges that come with caring for a child or adult with special needs. It is important to recognize, though, that those challenges don’t suddenly disappear when you die. Often, the support that you provide while you’re alive is not so easily replaced when you’re no longer around. That can lead to your disabled heirs suffering from changes in their lifestyle. At times, they may not have certain needs met – even when they are receiving government aid. While you may want to provide these heirs with an inheritance to assist them when you’re gone, that may not always be as simple as you think. Direct bequests to a disabled heir who receives government assistance from SSI or Medicaid could affect his or her eligibility for those benefits. At Litherland, Kennedy & Associates, APC, Attorneys at Law, we can provide you with special needs planning that can help you to avoid that problem while giving your loved one an inheritance that can change his or her life for the better. What is special needs planning? Why is special need planning something that I need? How can a California special needs planning attorney assist me? Special needs planning typically involves the creation of a special needs trust. This trust provides a safe way for you to leave money to an heir with special needs, without having to worry about whether the bequest might interfere with benefit eligibility. The structure of the trust and its terms help to provide a wall of separation between the heir’s finances and the money in the trust. You need to assign a trustee who will be responsible for managing the money in the trust. That person has a duty to ensure that trust funds are used to benefit the disabled heir, but in ways that do not run into conflict with government benefits. Typically, this means that trust assets are used to pay for needs that benefits do not. For example, government benefits for the disabled do not always cover educational needs. Your trust can do so without affecting those benefits. The terms of the trust need to be set up in a way that enforces that clear separation between the trust assets and the heir. This typically involves the use of trust provisions that affirmatively declare that the trust cannot be used to pay for basic needs already covered by those benefits, as well as clear instructions about the types of needs for which the trust can be used. Special needs planning should be done as part of a more comprehensive estate planning effort, since you will need a broad plan that ensures that you have the funds you need to create the special needs trust. This estate planning will often involve things like business, financial, and retirement planning, to create a cohesive strategy that facilitates the asset growth and accumulation needed to properly create a fully-funded special needs trust. You know that your disabled loved one is reliant on you for his or her needs, and you want to do everything that you can to ensure that he or she is properly cared for if something happens to you. 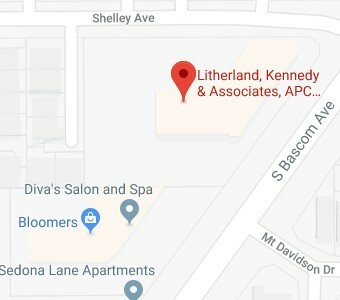 At Litherland, Kennedy & Associates, APC, Attorneys at Law, our team can help you to shoulder that burden with effective legal advice and strategic planning that can help you to enjoy the peace of mind you deserve. Why is special needs planning something that I need? The most obvious reason to use special need planning is that you care. You know that your disabled loved one will need assistance even after you’re gone from the world, and you are committed to doing everything that you can to make that happen. And since you cannot simply leave a bequest in a will without disrupting government benefit eligibility, these planning techniques are the best way to protect that loved one. There are other reasons why special needs planning can be invaluable, of course. Disabled persons often face difficulties with decision-making involving basic money management, budgets, and other concerns. Even if you could simply leave a sum of money without disrupting benefits, that might not be the best option for ensuring that your loved one receives the most benefit from that gift. Special needs planning can not only protect benefits, but protects the heir’s inheritance as well. The trustee you select, bound by the trust terms you provided, can continue to provide your heir with invaluable advice and financial guidance long after you’re gone. Through those trust terms, you can continue to have a positive impact on your loved one’s life for decades to come. To be considered a special needs trust exempt from Medicaid and SSI calculations, your trust must meet certain requirements. Even tiny errors could result in the assets in the trust being counted as wealth that causes your heir to lose those critical government benefits. At Litherland, Kennedy & Associates, APC, Attorneys at Law, we can help you ensure that your special needs trust is created the right way, so that your heir can enjoy all the benefits you intend to provide. Contact our San Jose Special Needs Planning Attorneys here at this site or call (408) 356-9200 in Campbell or (831) 476-2400 in Aptos to create your special needs trust now.